The National Tackle Football League starts this Wednesday night and being the procrastinators we Jones’s are, the draft for the Annual Jones Family Fantasy Football League will be held on Tuesday, the night before. 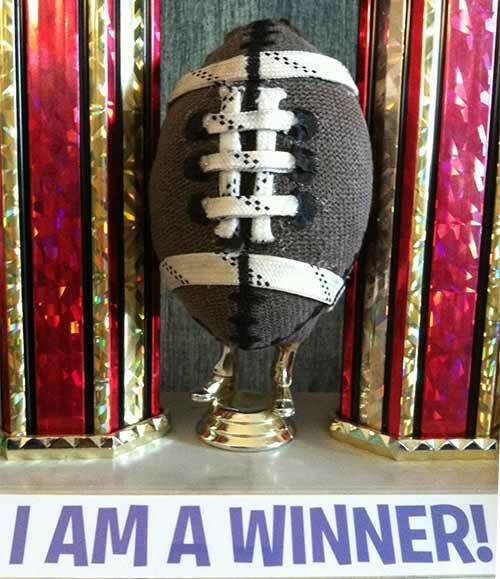 This season is even more exciting as the winner gets this fabulous, hand crafted with goodness, AWFFL Trophy! 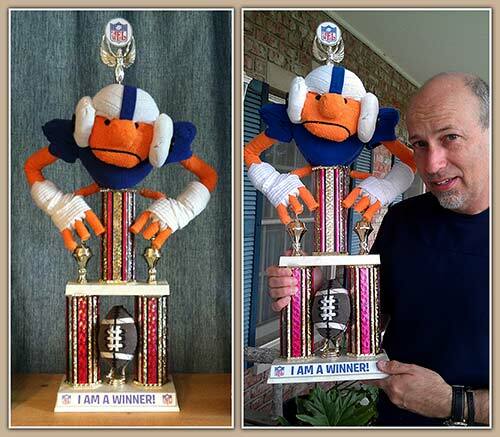 The victor can proudly proclaim all year long that yes, I am indeed a winner… and yes, the football on the trophy does have golden feet.